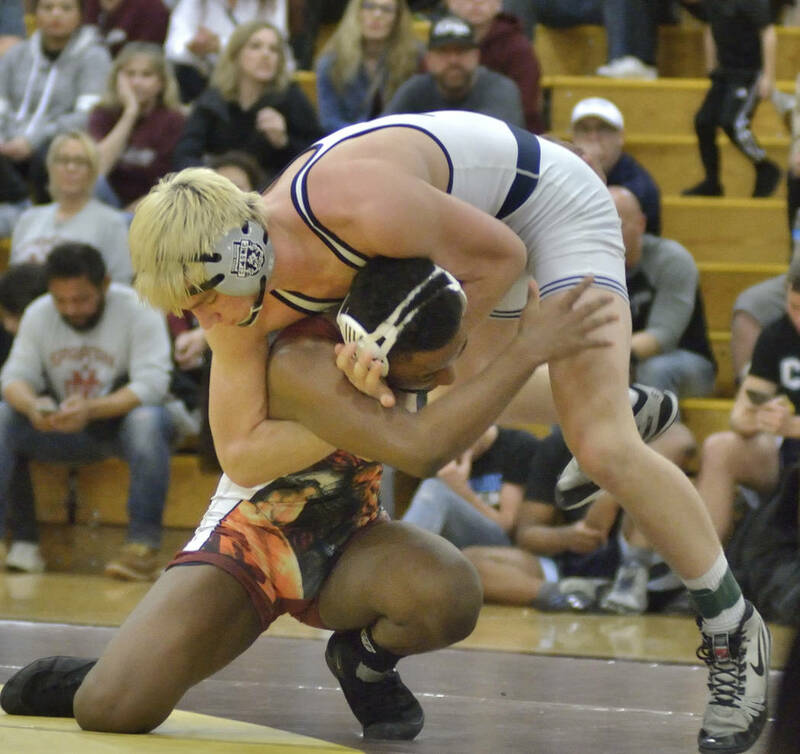 Cimarron-Memorial’s Matthew Rodgers avenged three regular-season losses to Shadow Ridge’s Marc Williams by winning 3-1 in overtime in the 160-pound division, to help the Spartans win the region championship, 231-228½. 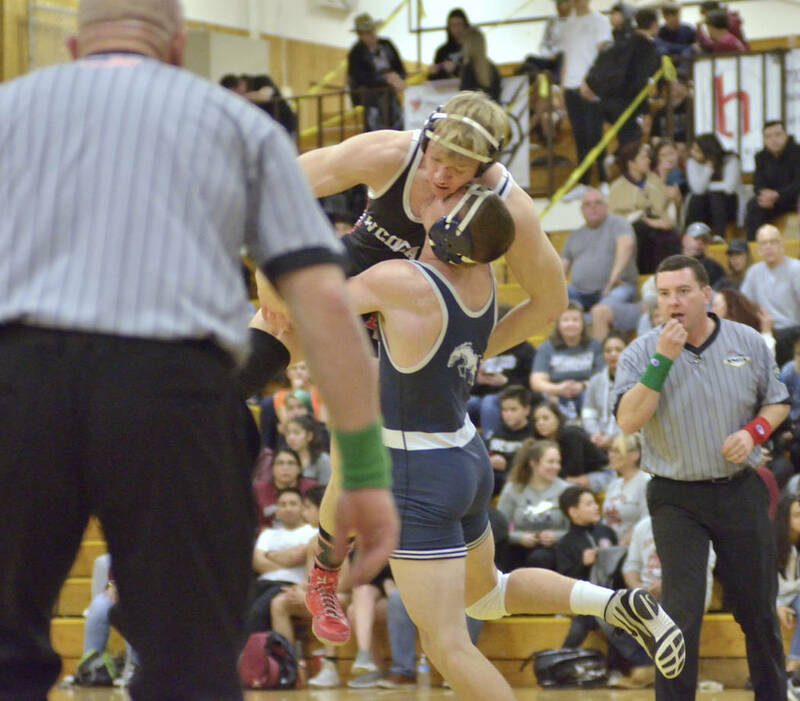 Last year Shadow Ridge and Cimarron-Memorial entered the final day of the regional wrestling tournament neck-and-neck, and it came down to the one head-to-head match beteen the schools in final round, with the Spartans winning the title. 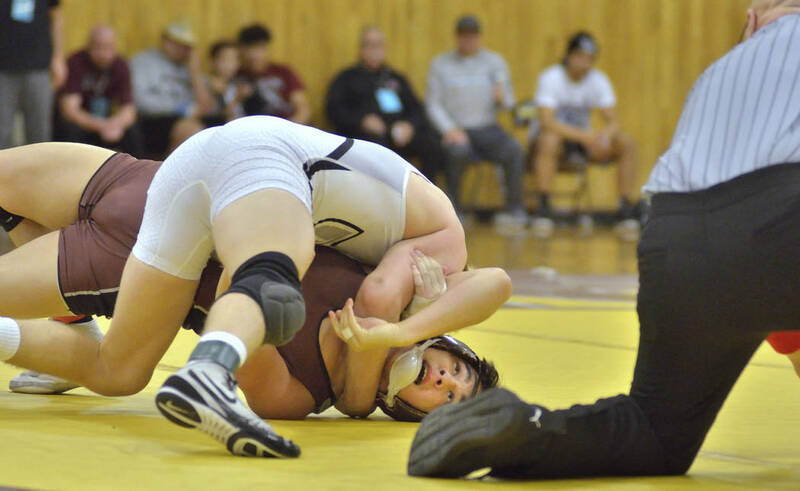 Saturday the Northwest League rivals battled into the second day of the Mountain Region tournament at Bonanza, and once again the lone match they faced one another in the finals proved to be the difference maker. Though it was Spartans heavyweight Adrian Alonso’s 3-2 overtime win over Arbor View’s Faafetai Tuinei that clinched the title, it wouldn’t have been possible without Rodgers’ stunning victory. 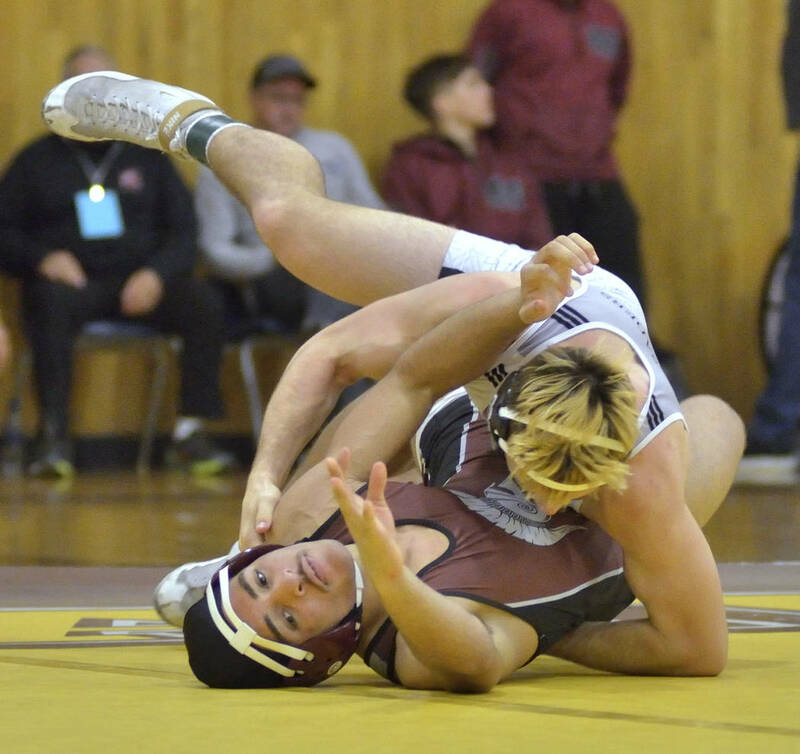 Tied 1-1, Rodgers took a single-leg shot, and followed with a duck under to the outside of Williams to score the takedown and push Cimarron’s lead to 227-216½ at the time. In the final match of the day, Alonso caught a break when Tuinei was called for interlocking his hands while on top, which tied the score at 2-2. Alonso then scored a point with an escape and held on for the victory. 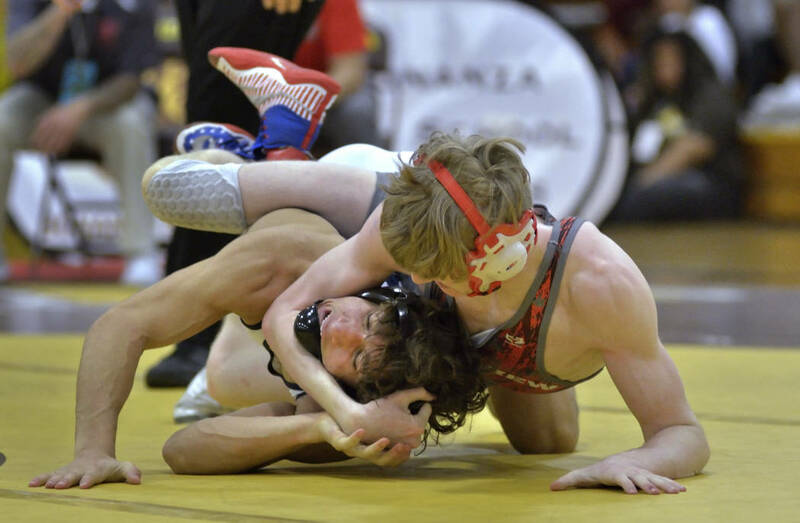 The Spartans produced three region champions after sending six to the finals, including Amado Castellon, who won his second consecutive 145-pound title with a 5-1 decision over Palo Verde’s Grey Garcia. 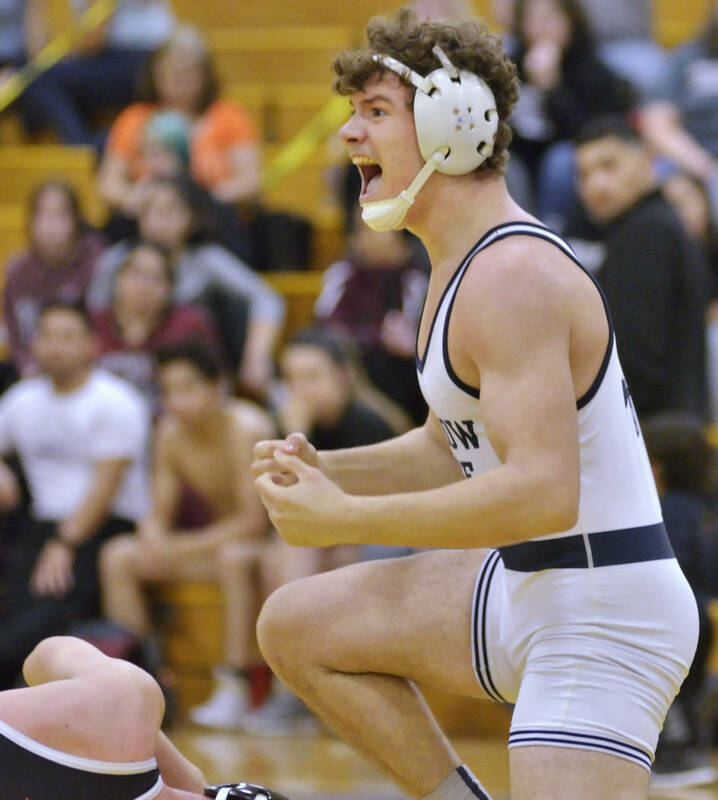 Shadow Ridge saw six of seven finalists win region titles, led by pins from Triston Curtis (126 pounds), Weston Presser (138), Kody Presser (170) and Noah Gallardo (195). 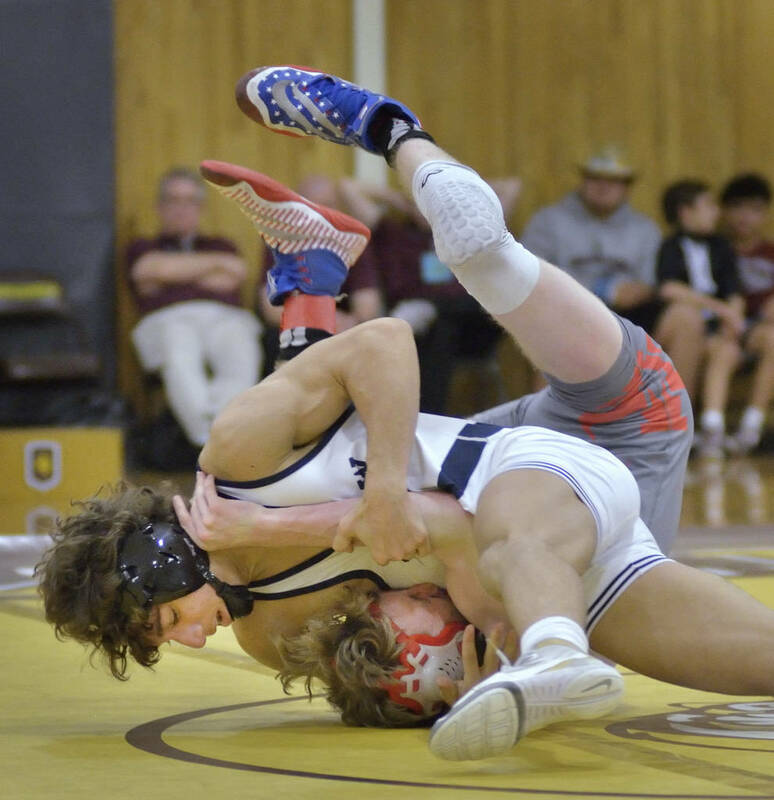 Sam Gallardo (106) and Matthew VanRiel (132) also won for the Mustangs. 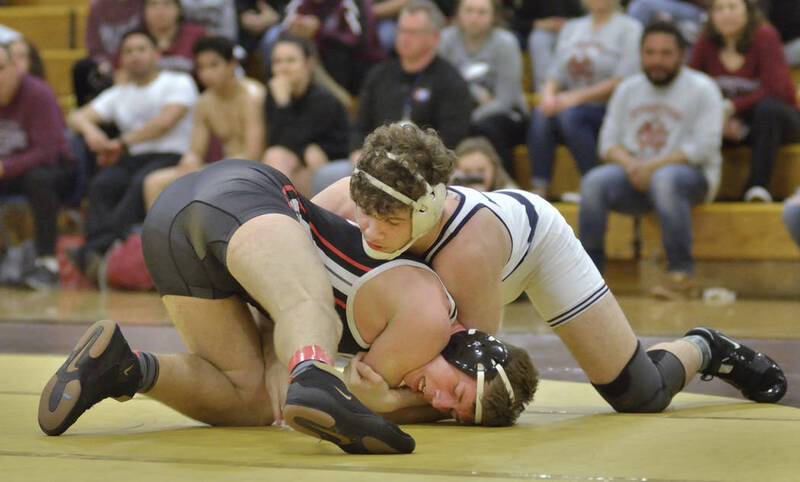 Centennial got a boost from four third-place wrestlers — including 106-pound freshman Jenavi Alejandro, the only female wrestler from the region to qualify for state — to finish third in the team standings with 137 points. 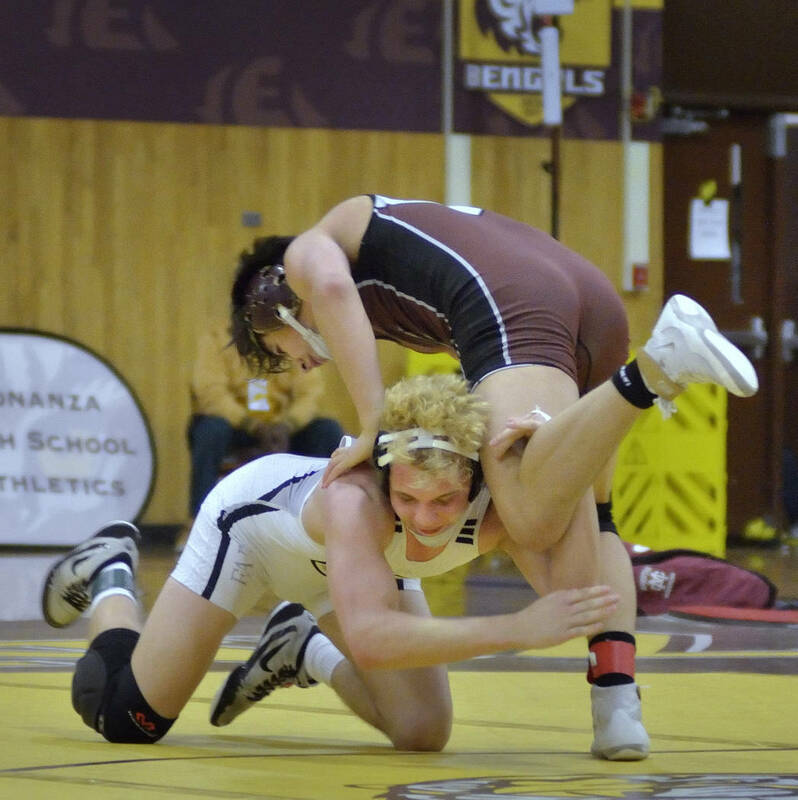 Faith Lutheran took fourth place with 125 points, led by two-time state champion Connor Bourne, who won his third straight 182-pound regional title and fourth overall. 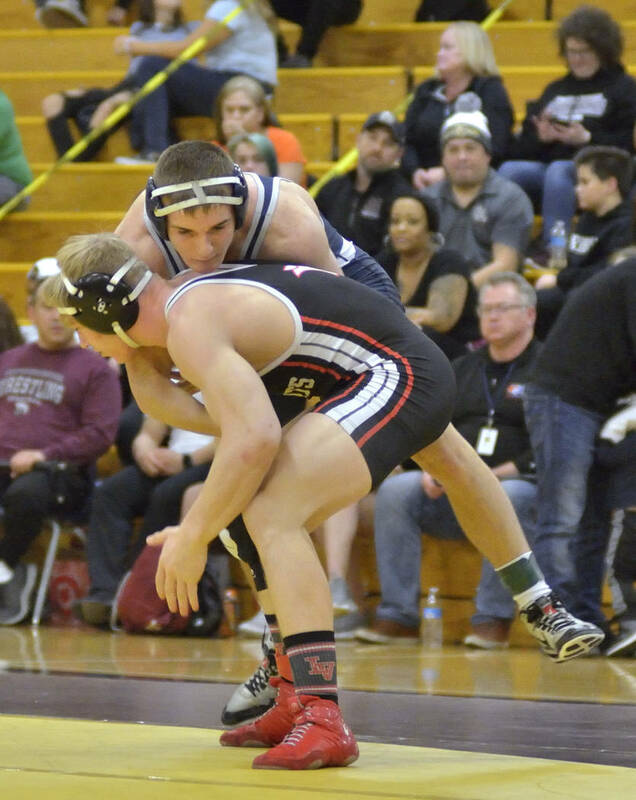 Carson Cook (152) also took first place for the Crusaders. 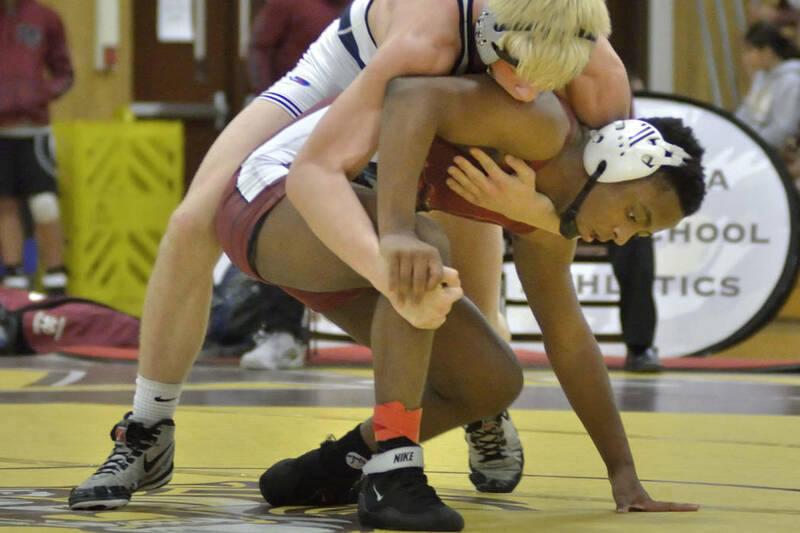 Abeg Gomez (113) and Xavier Gonzalez (120) brought home first-place medals for Desert Pines, and Bonanza’s Brendan Rehmel won the 220-pound title.